Hello, lovelies. Just popping in to share some of my favorites from around the wedding world this week. 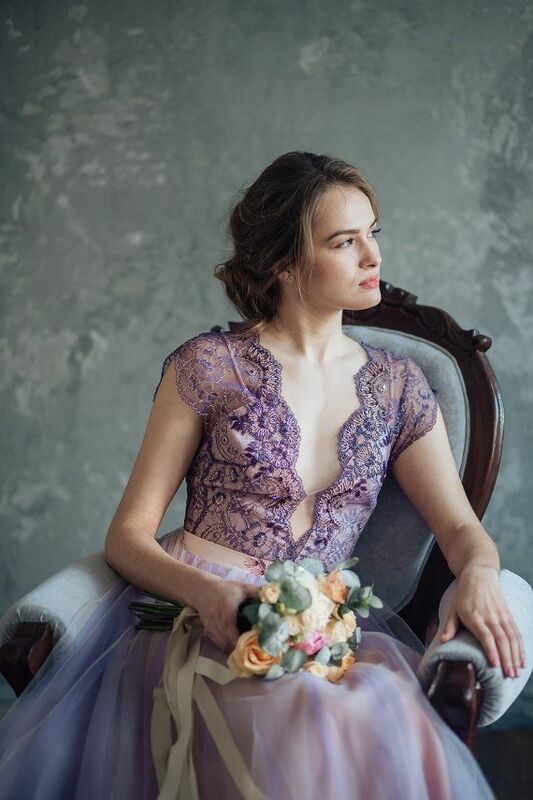 Starting off with this beyond dreamy lavender wedding gown. Holy gorgeous! No, seriously. Is it possible to have a wedding redo? Because this gown is seriously stunning. Loving the lavender look and want to see more of my favorite lavender ideas? Here you go! 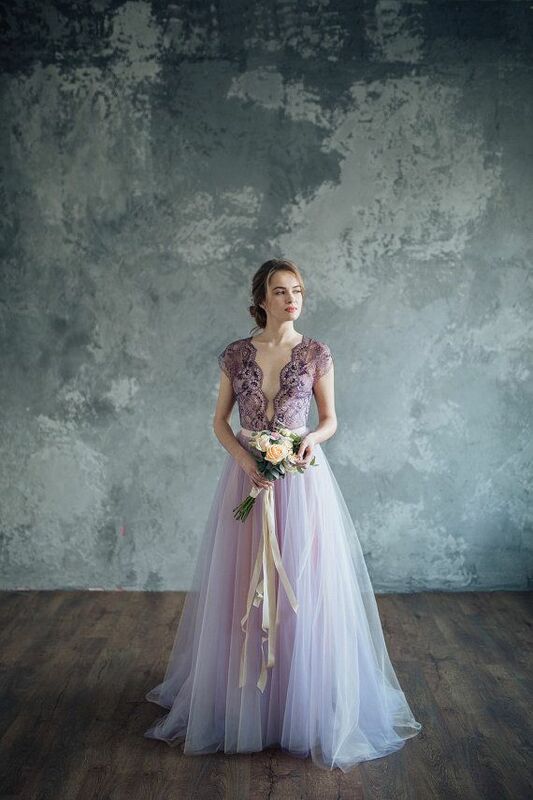 Gown by LiBrightWeddingDress — see more of our lavender faves here. All the heart eyes for this Elegant Vingage Blush Wedding over on 100 Layer Cake! Swooning hard over this DIY Geometric Seating Chart Idea. See it on Ruffled today! Don't miss the dress sale over at Modcloth. Trust me, their dresses never disappoint!